Researchers from Tel Aviv University described experiments that could lead to a new approach for treating Parkinson's disease (PD) using a common sweetener, mannitol. This research was presented at the Genetics Society of America's 54th Annual Drosophila Research Conference in Washington, D.C., on April 6, 2013. Mannitol is a sugar alcohol familiar as a component of sugar-free gum and candies. Originally isolated from flowering ash, mannitol is believed to have been the "manna" that rained down from the heavens in biblical times. Fungi, bacteria, algae, and plants make mannitol, but the human body can't. For most commercial uses, it is extracted from seaweed although chemists can synthesize it. And it can be used as more than just a sweetener. The Food and Drug Administration approved mannitol as an intravenous diuretic to flush out excess fluid. It also enables drugs to cross the blood-brain barrier (BBB), the tightly linked cells that form the walls of capillaries in the brain. The tight junctions holding together the cells of these tiniest blood vessels come slightly apart five minutes after an infusion of mannitol into the carotid artery, and they stay open for about 30 minutes. Mannitol has another, less-explored capability: preventing a sticky protein called α-synuclein from gumming up the substantia nigra part of the brains of people with PD and Lewy body dementia (LBD), which has similar symptoms to PD. In the disease state, the proteins first misfold, then form sheets that aggregate, and then extend, forming gummy fibrils. Certain biochemicals, called molecular chaperones, normally stabilize proteins and help them fold into their native three-dimensional forms, which are essential to their functions. Mannitol is a chemical chaperone. Twenty researchers — more than half of them Simon Fraser University (SFU) graduates and/or faculty — could become eastern Canada’s knights in shining white lab coats. A paper detailing their newly created sequencing of the mountain pine beetle’s (MPB) genome will be gold in the hands of scientists trying to stem the beetle’s invasion into eastern forests. The research was published in an open-access article in Genome Biology on March 27, 2013. 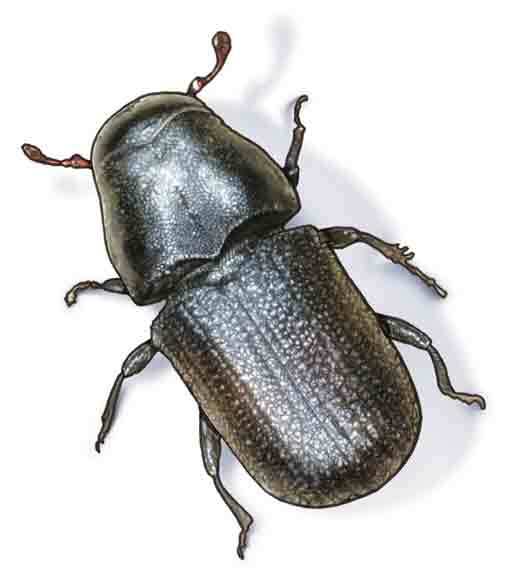 “We know a lot about how beetle infestations can devastate forests, just as the mountain pine beetle (MPB) has been doing to British Columbia’s lodgepole pines,” says Dr. Christopher Keeling, the paper’s lead author. The SFU graduate, now a research associate in Dr. Joerg Bohlmann’s Lab at the University of British Columbia’s Michael Smith Laboratories, says, “It’s the beetle’s genome that will help us figure out exactly how it does its damage and hopefully stop it.” The genome reveals large variations among individuals in the MPB species — about four times greater than the variation among humans. “As the beetles’ range expands and as they head into jack pine forests where the defensive compounds may be different, this variation could allow them to be more successful in new environments,” explains Dr. Keeling. Eastern Canadians are bracing for the British Columbia (B.C.) MPB’s threat to appear in Ontario, Quebec, and Maritime forests during the next two decades. The rice grain-sized insect has already wiped out an area of B.C. lodgepole pine forest five times larger than the size of Vancouver Island. It is becoming the scourge of Alberta’s forests and is headed for Saskatchewan. “The MPB genome allows us to examine the population differences for beetles at various parts of an outbreak.